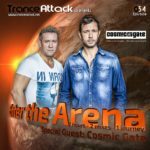 Welcome to episode 058 of our monthly radio-show “Enter The Arena” – aired on Trance-Energy Radio! For Enter The Arena 058 we welcome one of Scandinavia’s leading deejays & producers Tapio Hakanen aka Orkidea. In his twenty years long career Orkidea musical output resulted in four artists albums, collaborations with Andy Moor, David West, Activa, Solarstone and Giuseppe Ottaviani, Remixes for Aalto, Way Out West, Tiesto and Paul Oakenfold. Orkidea is one of our favorite artists for such a long time and we are really happy to have him as guest! Expect great music by Fady & Mina, Yoel Lewis, ilan Bluestone & Grum, Mark Knight, Gareth Emery, Super8 & Tab and of course by Orkidea him self! 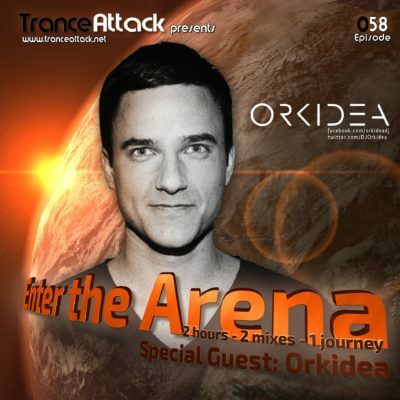 Tagged Enter The Arena, Orkidea, Tamer Hossam, Trance-Energy Radio.